The Watch House was just half of the Old Melbourne Gaol. 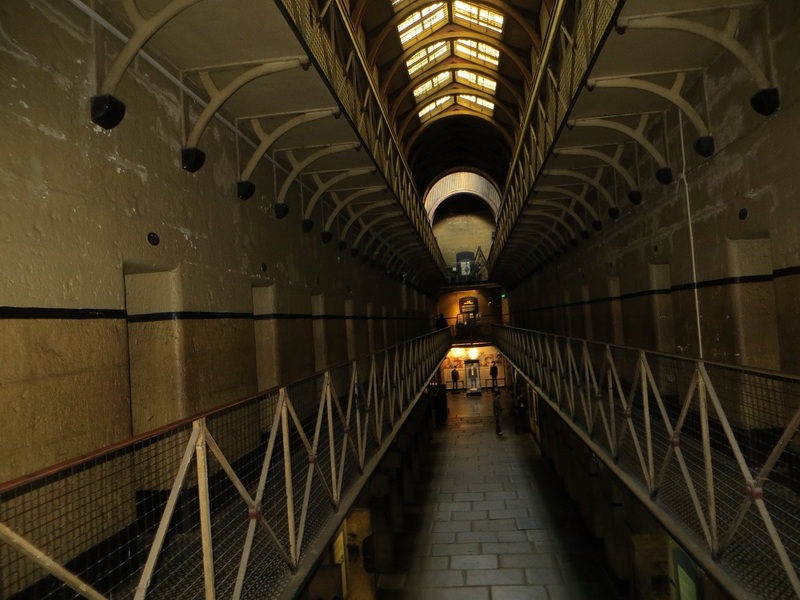 The other half was its museum, housed in an old cell black that is the only part of the original 1839 prison still standing. 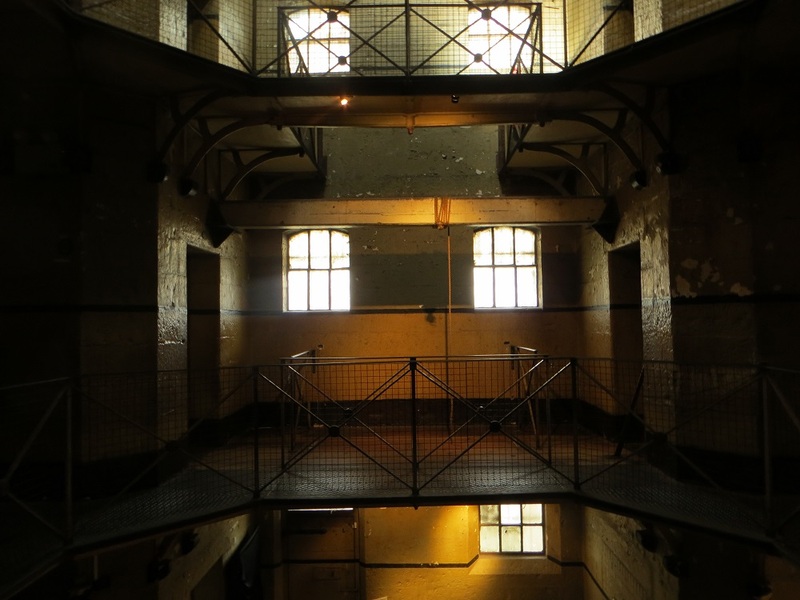 The main focus of the exhibits was the hangings – 133 of them – that took place at the prison between 1842 and 1924, the year that the prison closed. The first to be executed at the Melbourne jail were two native Aboriginals who had been convicted of killing two English whalers and had no idea what was happening to them until they found themselves at the end of a rope. The last to be executed was Angus Murray, a bank robber and murderer, in 1924. After the Melbourne prison closed, the hanging beam and the hangings were taken to Pentridge Prison, in what’s now a suburb of Melbourne. The beam came back to Old Melbourne Gaol in 2000. The executed prisoners were buried in the prison cemetery. When most of the prison became part of a women’s college, the bodies were dug up and buried elsewhere. The women’s college merged with the Royal Melbourne Institute of Technology and subsequent renovations to the school have unearthed a coffin or two or four. In many of the cells were death masks — plaster casts of the executed prisoner’s head made just after death. There was one mask per cell, with a wall plaque that told that prisoner’s story. And in one of the cells, I was surprised to see the death mask of someone from the town where I work. Gallery | This entry was posted in Victoria, Australia and tagged Fred Jordan, Olde Melbourne Gaol. Bookmark the permalink. I know! It always surprises me when it happens, though.